Here are two methods of picking up your rabbit. 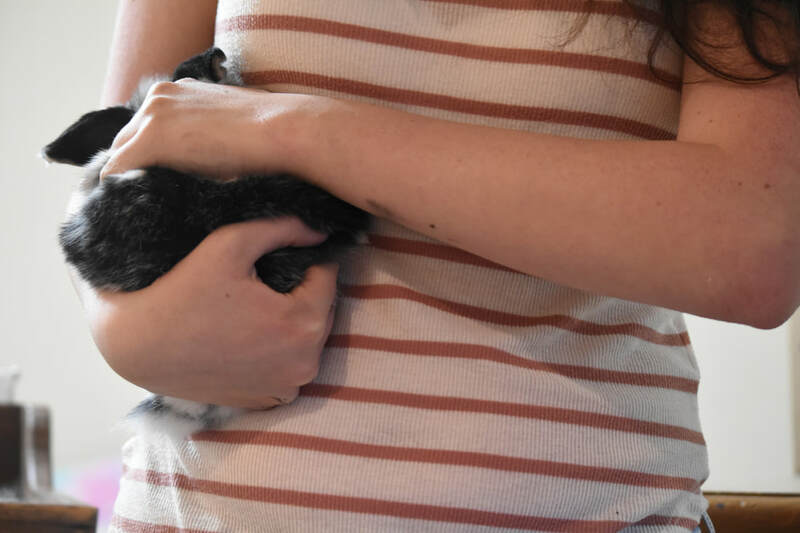 They are not the ONLY ways to pick up your rabbit, but I am just sharing the two ways I have found to be the easiest, safest, and kindest in my personal experience. They may not work for everyone. 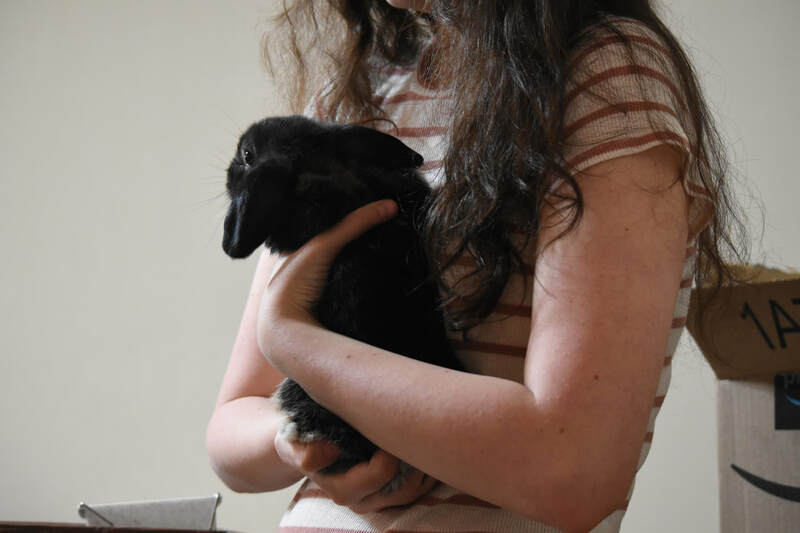 Also included in this article are different ways you can safely hold your rabbit. Always make sure you are confident and project that confidence to your rabbit. 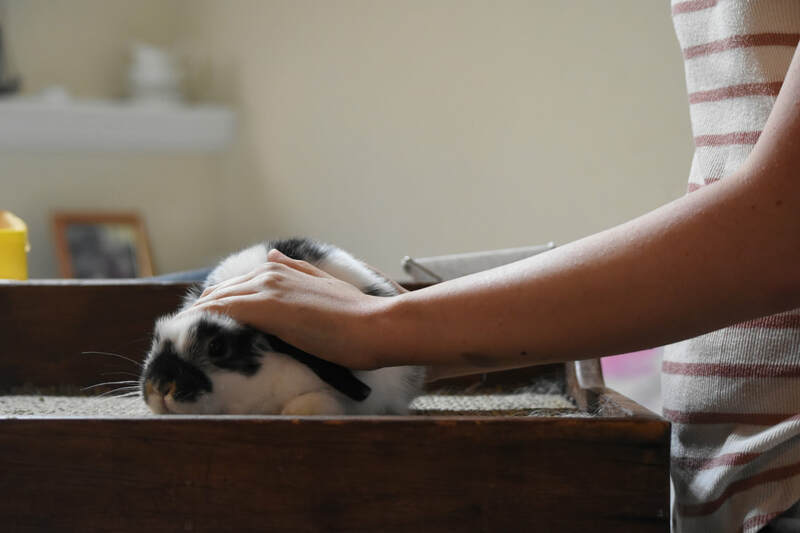 The more nervous you are of hurting them, the more likely it is that the rabbit will freak out because it will think you don't know what you're doing. This is when 99.9% of accidents will happen. This method uses the rabbit's hindquarters and gripping underneath the rabbit's front legs and heart girth. If you have a very relaxed, easy-to-catch rabbit that you can 110% trust, you can try this method. Step 1. 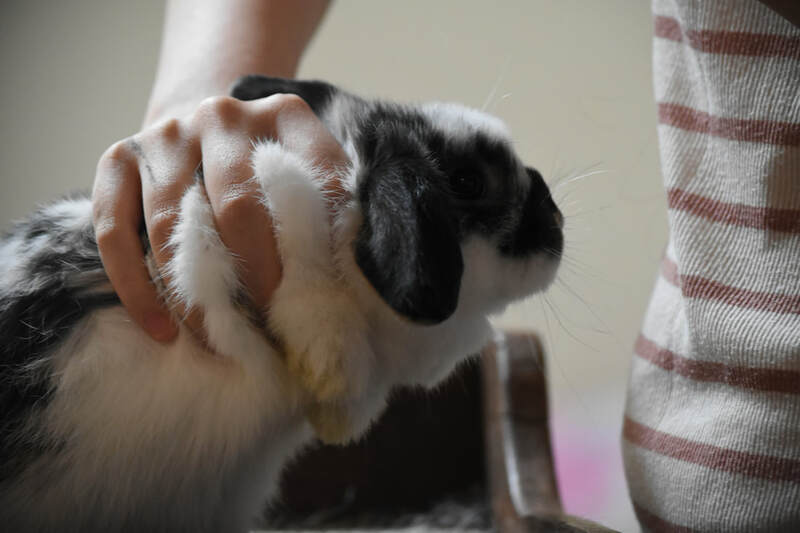 Pet your rabbit to get it to relax. Step 2. 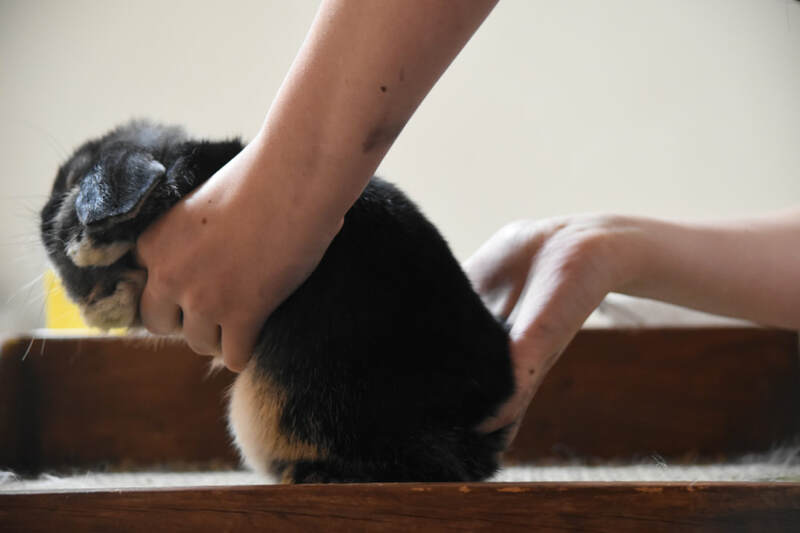 Slide your hand underneath your rabbit's front legs. Firmly grip the shoulder. Step 3. Support the hindquarter with your other hand. Point 4 fingers toward the tail, and scoop up the rabbit's hind end in your hand. Step 4. Lift up the rabbit and bring it to your chest. This is the method I use the most often with my Holland Lops. It uses the rabbit's shoulder in combination with the hindquarter. This method works best for kits, prejuniors, and juniors, but can be used for seniors too. The only requirement is that your hands are large enough compared to the rabbit. 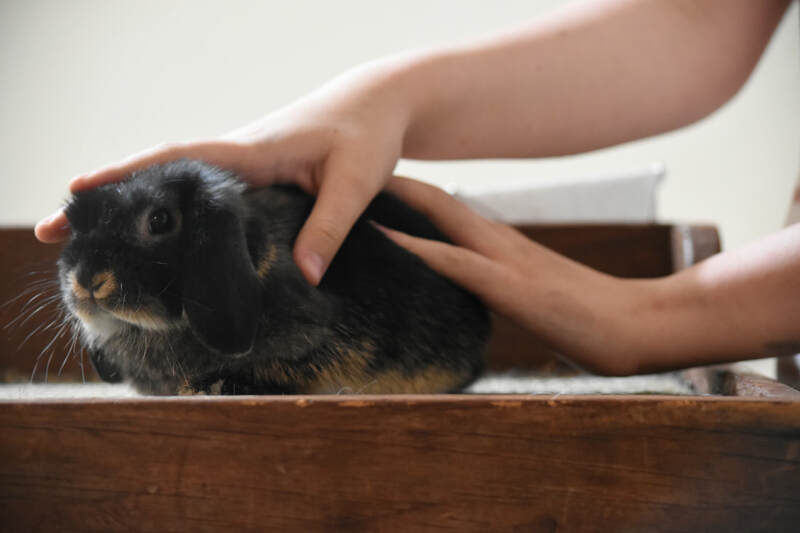 This is an excellent method for picking up smaller dwarf breeds, such as Netherland Dwarfs and Dwarf Hotots. It might not be practical for larger breeds. Step 2. Grab a hold of your rabbit's shoulder. Your thumb and middle finger should be in a C shape, and should tuck into the groove behind their elbow. You will need a tight grip. Step 3. Like with the Methods A and B, ​support the hindquarter with your other hand. Point 4 fingers toward the tail, and scoop up the rabbit's hind end in your hand. Step 4. Lift the rabbit up and bring it to your chest. At this point, you can loosen your hold on the shoulder (but still always keep your hand there). Next up, how to hold your rabbit! There are many ways of holding your rabbit, but I'll just go over a couple. 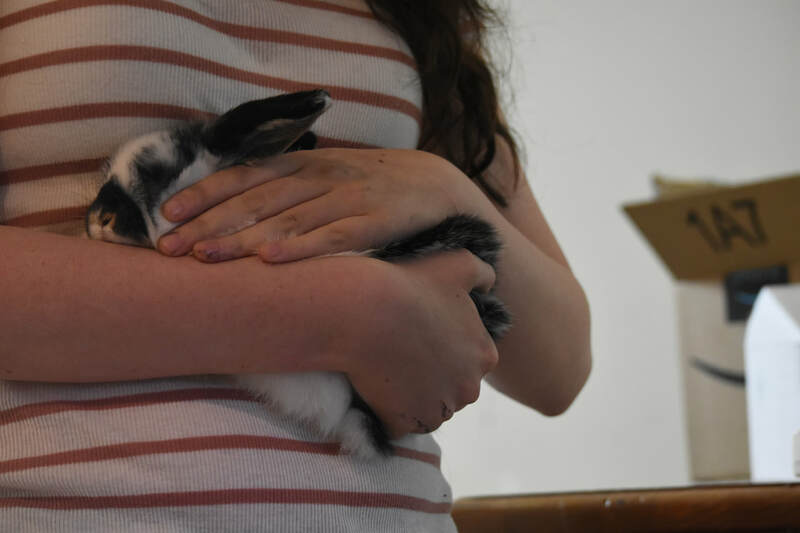 In the picture below, I am cradling my rabbit like a baby. This is great for trimming their nails etc., but only do it for a minute or two at a time and then give your rabbit a break. In this picture, I am holding the rabbit facing up my chest. This is a pretty easy and common way of holding your rabbit. 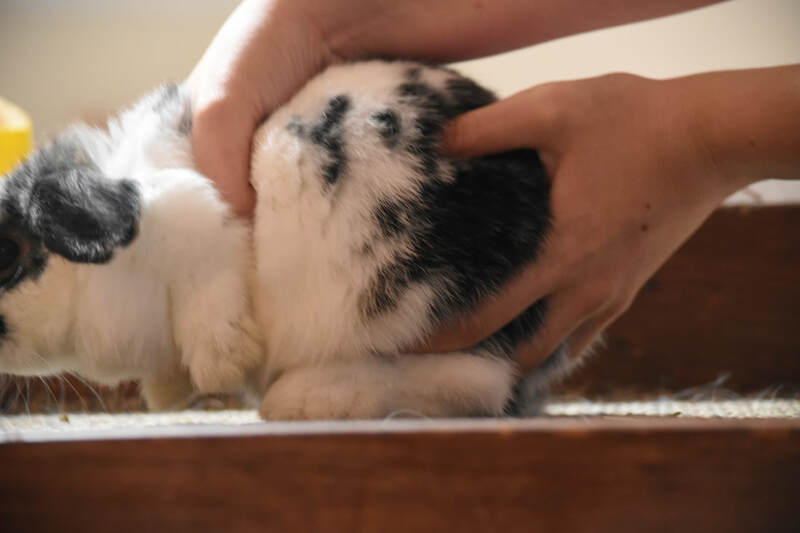 Just make sure you insist that the rabbit never gets away with scrambling up onto your shoulder, as this can leave you with some very nasty scratches, plus it can endanger your rabbit. Remember to always support your rabbit's hindquarter and shoulder. This is the 'football position' used in Showmanship. It is not typically used for anything aside from Showmanship competitions. For this position, always use the scruff and support the hindquarter. It can also be used for larger sized breeds. 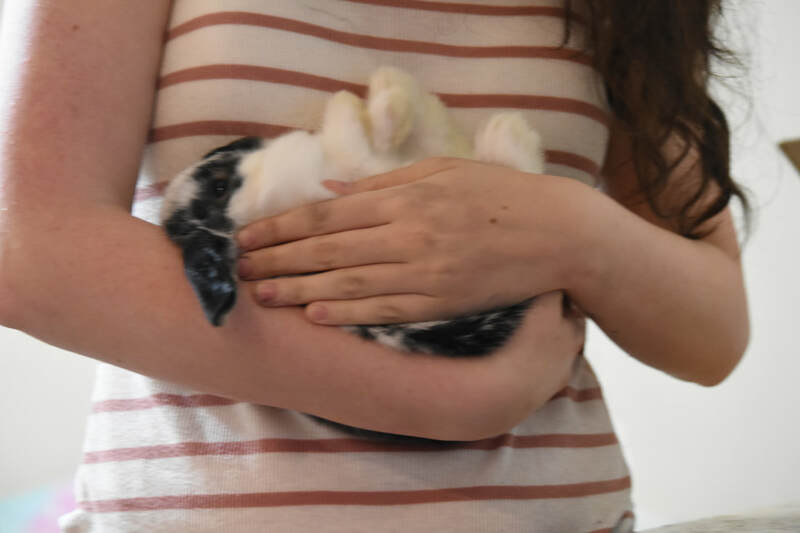 In the picture below, I am letting my rabbit sit on my arm. 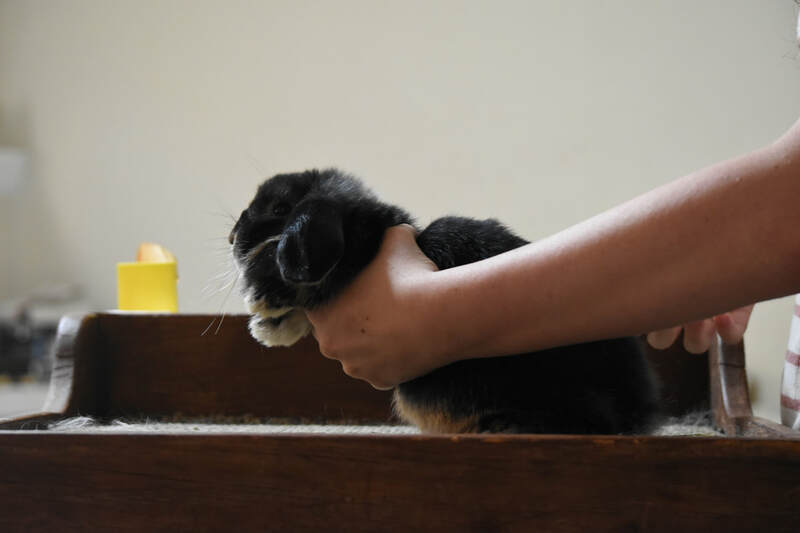 Make sure to use your other hand to ensure the rabbit cannot escape and fall. 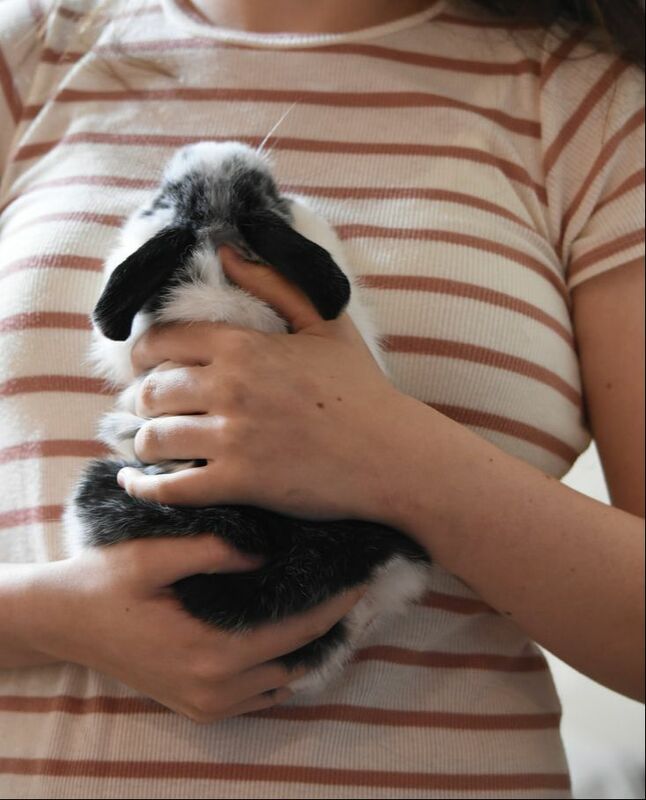 How do you prefer to hold your rabbit? Tell us below in the comments section!